Automotive Transmission Spring Packs - P.J. Wallbank Springs, Inc.
Our top of the line automotive transmission spring packs and clutch return components are produced using the latest materials and innovative manufacturing equipment that is built in house by our very own professionals. This technology supports modern, highly efficient, light weight, fuel-saving spring pack designs. P.J. Wallbanks Springs, Inc is the global leader in clutch return technology. 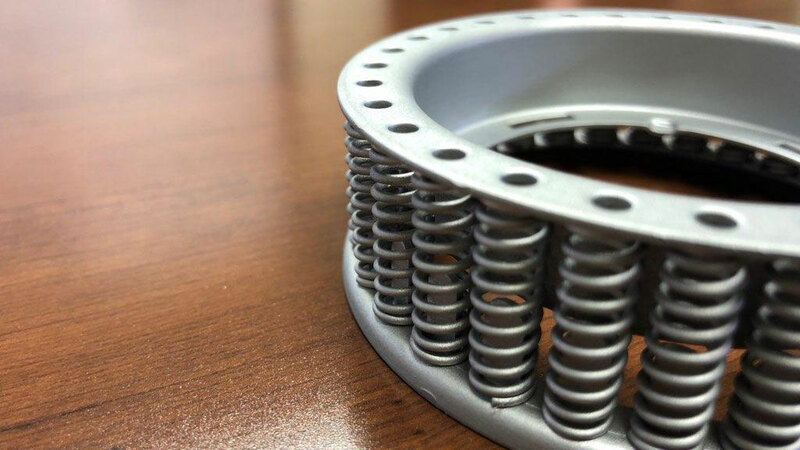 Our team of engineers will design, prototype and manufacture (and test) automotive transmission spring packs and clutch return technologies to meet industry specific demands and exceed your requirements. Spring packs are used in a variety of clutched applications, although their most common use is within the clutches of automatic transmission. Clutches are engaged in order for a particular part of a machine to perform work. It is our mission to make sure these components work flawlessly so that your machines will perform their greatest.